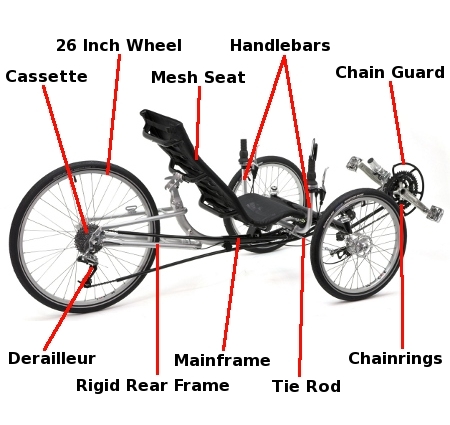 These photographs may prove useful for those just learning about human powered recumbent tadpole tricycles. 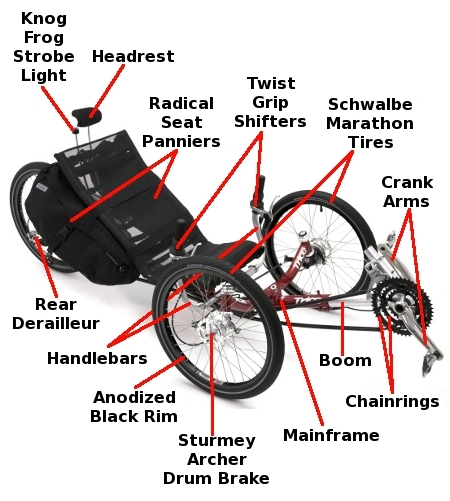 Some of the more common parts of trikes are shown with basic descriptors. 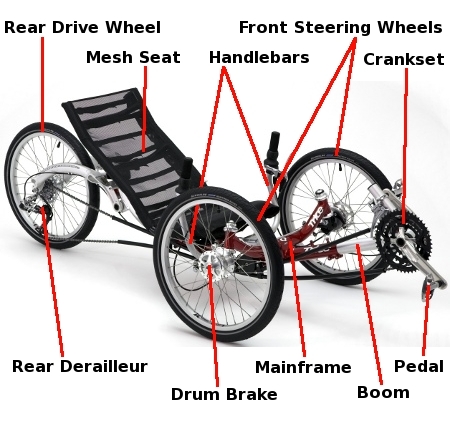 The trike models below herald from the stable of Inspired Cycle Engineering in England, otherwise commonly known as ICE. They are the ICE T, ICE Q, and ICE T 26. The T is indicative of its ability to traverse trails other than pavement due to the extra high ground clearance. The Q reflects a quick and low machine with excellent road handling characteristics. 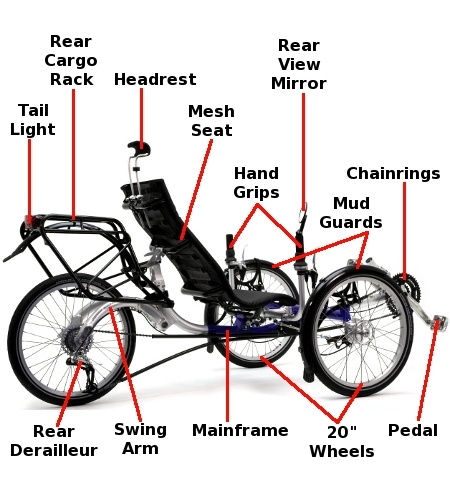 The T 26 is a higher trike with a 26 inch rear wheel for faster top end speed on paved roads. 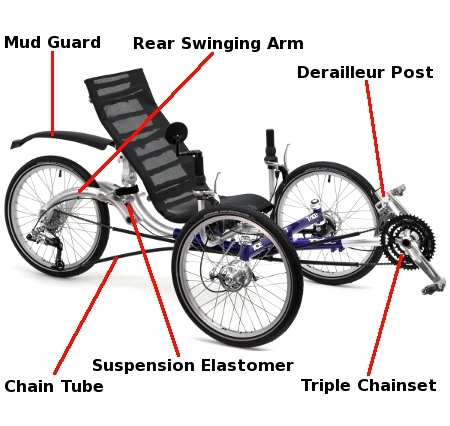 Both the T and Q have suspended rear swinging arms for a smoother ride, while the T 26 has a rigid rear frame. 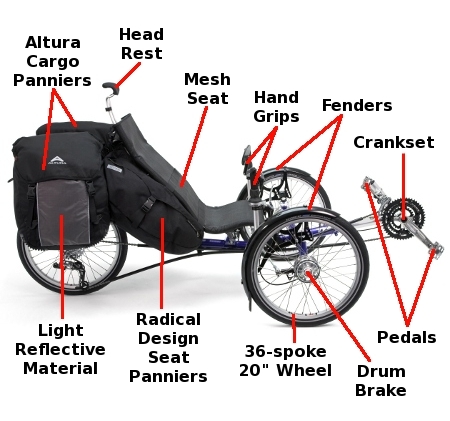 All three trikes were so named up through the 2009 model year, but with the dawning of 2010, quite a number of modifications were made, along with new name badges. The T continues its tradition in the ICE Adventure, while the Q lives on in the ICE Sprint. 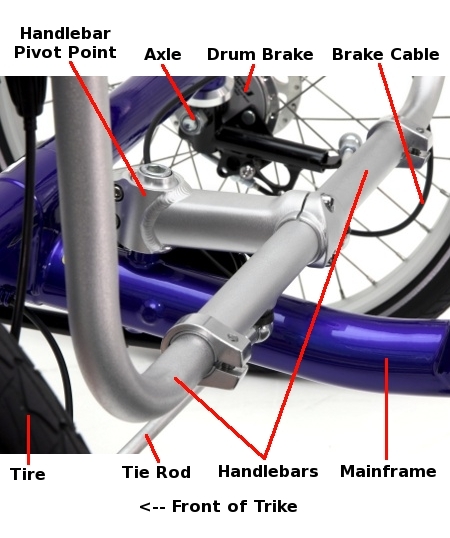 NOTE: To a trike newcomer, a word of explanation may be in order about the crankset. In these photographs, it appears that chainrings and crankset share the same description, which is not quite accurate. 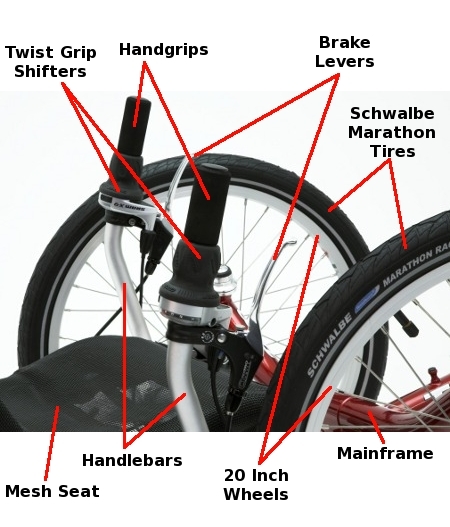 The crankset is composed of several components, including the chainrings. 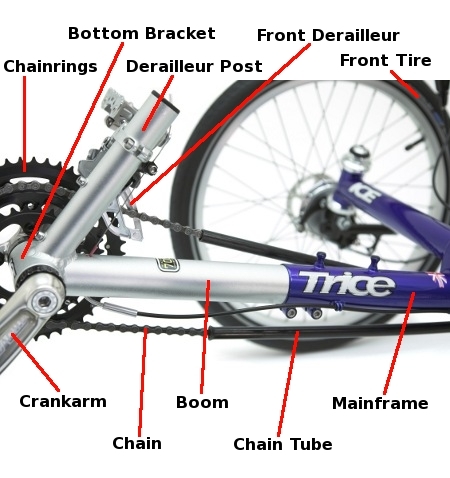 The three chainrings, common on most trikes, are also referred to as sprockets by some folks. 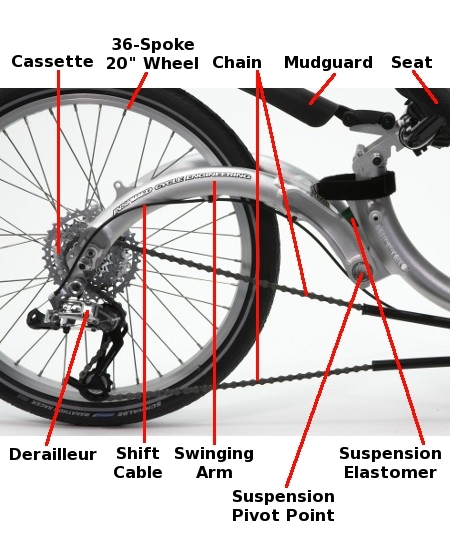 The crankset is also referred to simply as the crank, or in England as the chainset.